I used to think B-12 was only needed once a week. Sometimes, I’d slip and let myself go for 2-3 weeks at a time, thinking that would be okay. It was hard to detect a deficiency in B-12, because I was still functioning fine, but then I’d start to notice something weird. My hands would tingle on the daily as if there were electrical currents running through them. On bad days, it would travel up to my elbows and I especially noticed this during days of recovering from a night of drinking with friends. It was super annoying and constantly present throughout the day. I couldn’t shake it! In my mind, I just thought it was years of typing on a keyboard, bike riding in the city, and having weak wrist. And to be honest, it may be a combination of that stuff too, but once I started to load back up on B-12 everyday, I noticed huge improvements in how much tingling sensation I was experiencing. While I still get occasional tingling in my wrist, it’s less noticeable and doesn’t bother me as much. I feel like my body must have went through shock, and now it’s slowly trying to repair itself and that’s fine, but I wanted to be sure to let you know to not let it get to that point. Take your B-12!! I’ve taken several different brands of B-12, some of which you absorb under your tongue, and some that you just swallow. 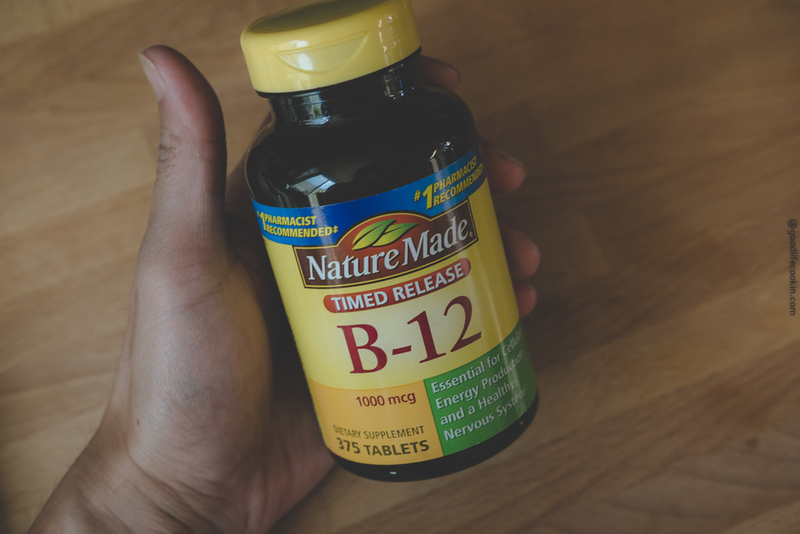 What I’ve found to work best for me is NatureMade B-12. How do I know this stuff works? Well, because when I take this brand, I feel an energy boost and that’s important. In fact, prior to consuming this brand, I’d take Kirkland brand B-12 that dissolves under the tongue. The Kirkland brand is made of Methylcobalamin, which is believed to be the most natural form of B-12 you can get. NatureMade’s B-12 uses a synthetic form called, Cyanocobalamin, which requires more energy to breakdown and absorb into your body. I wasn’t able to feel the energy boost from Kirkland’s brand, so I stick to NatureMade for my B-12. I do believe your body builds tolerance to anything we put into it, so somedays I’ll switch it up and take the Kirkland brand under the tongue. So for now, stay Vegan strong with B-12! Don’t be like me and let your body suffer and stress without it. It’s so important to take this stuff! Hope this helps!